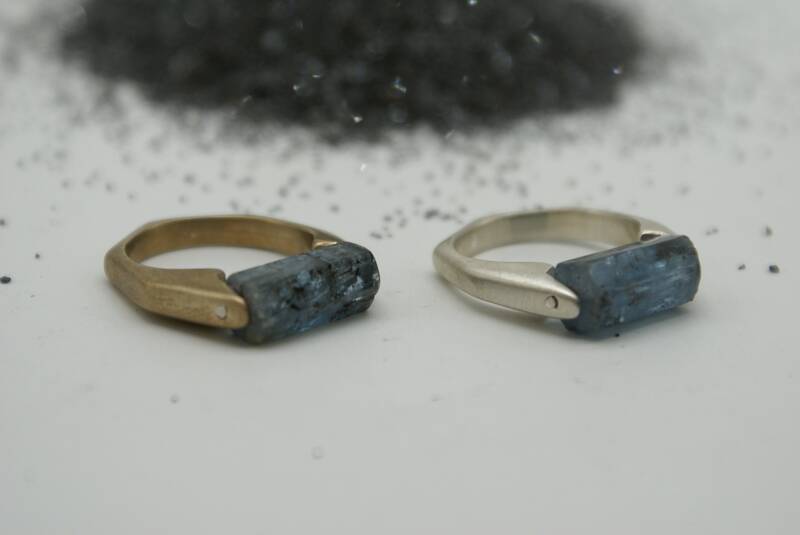 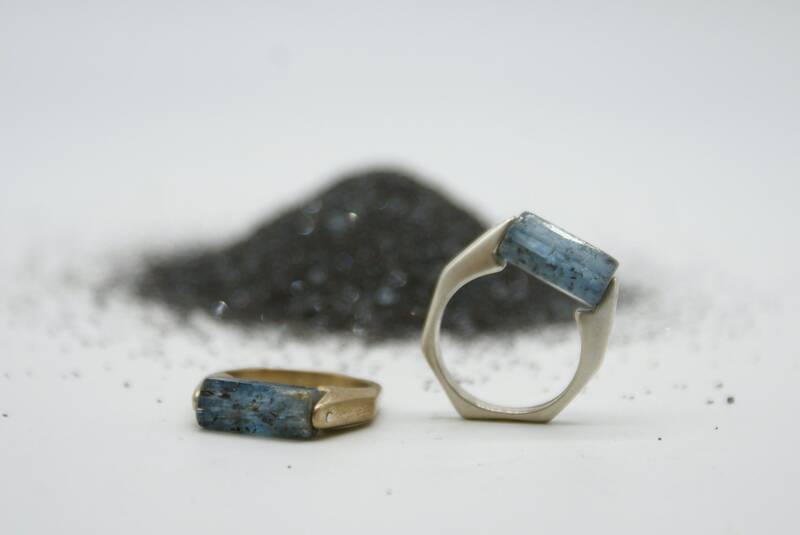 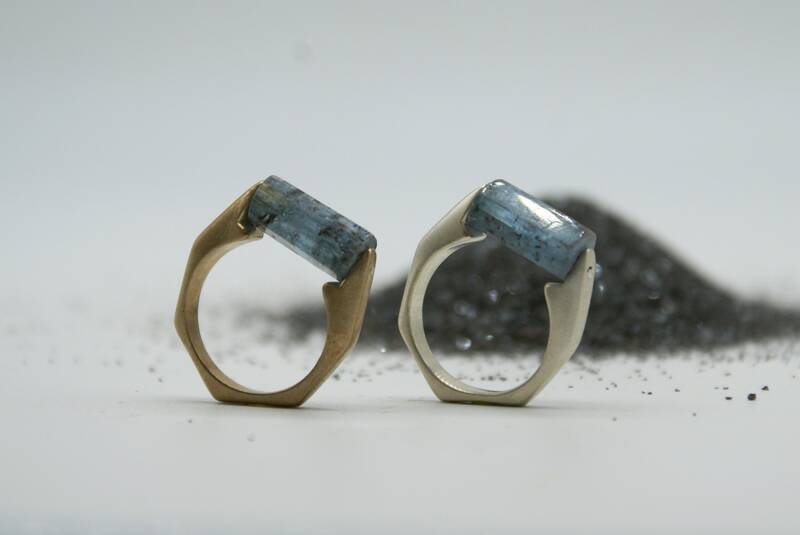 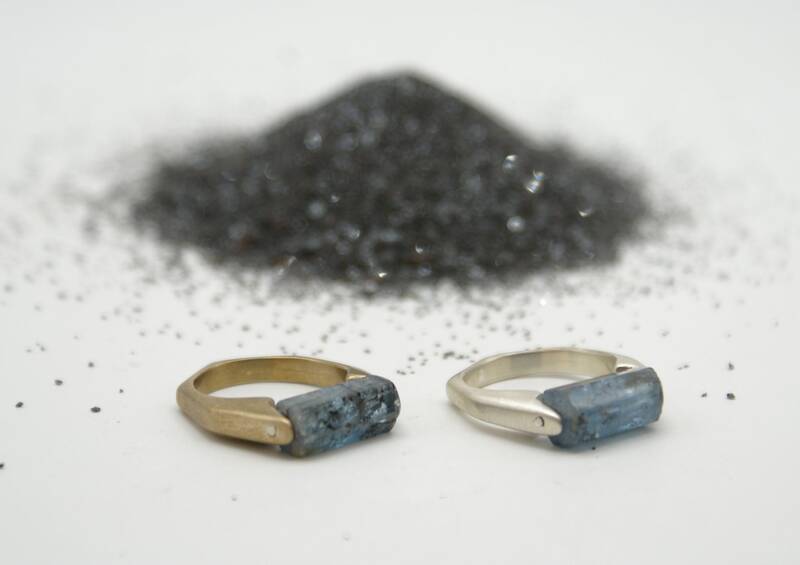 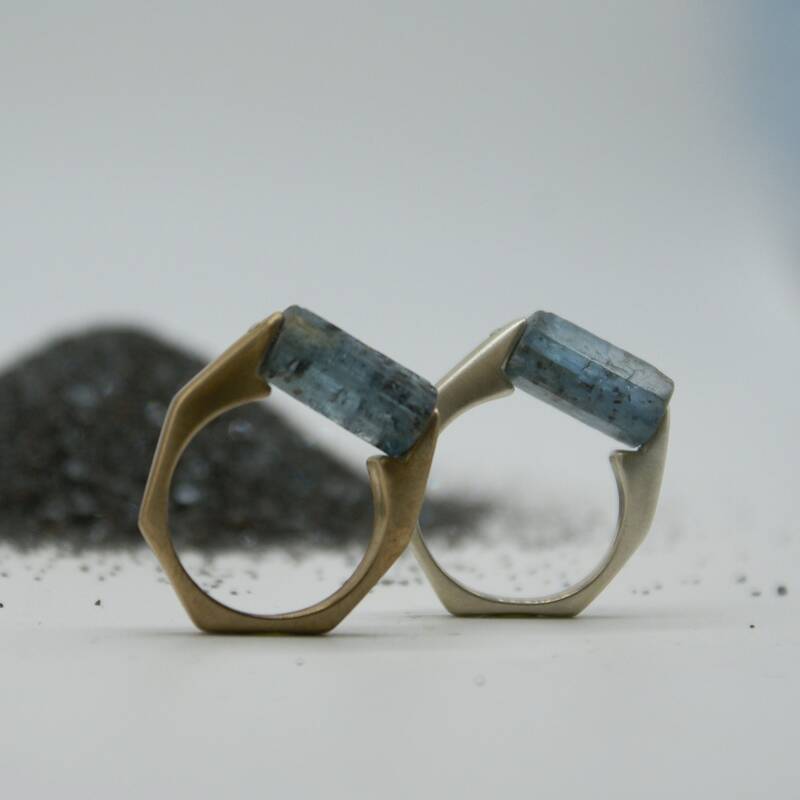 These beautiful rings feature stunning kyanite barrels, set on a pin securely between the silver or bronze frame. 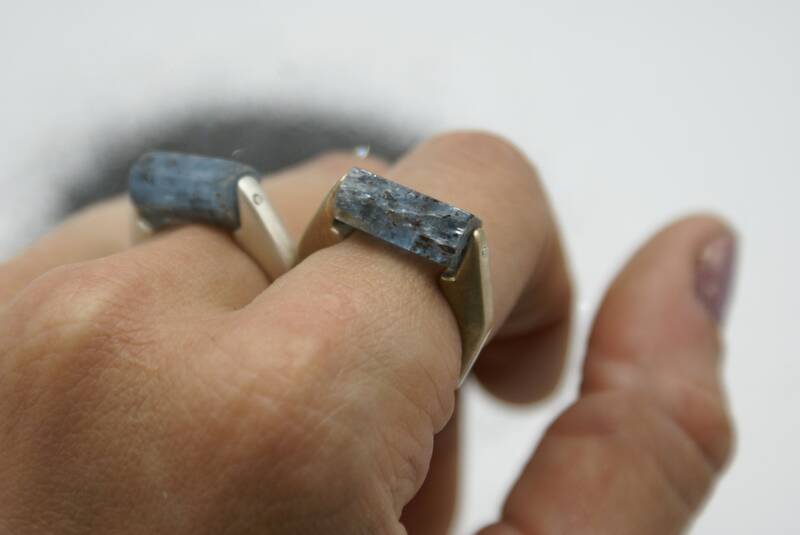 The thick band was originally carved from wax and then cast. 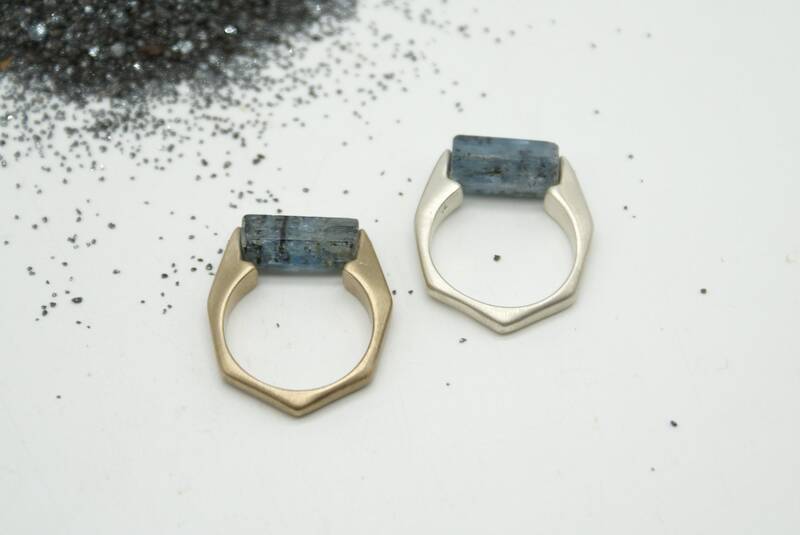 The bronze ring is a size 8. 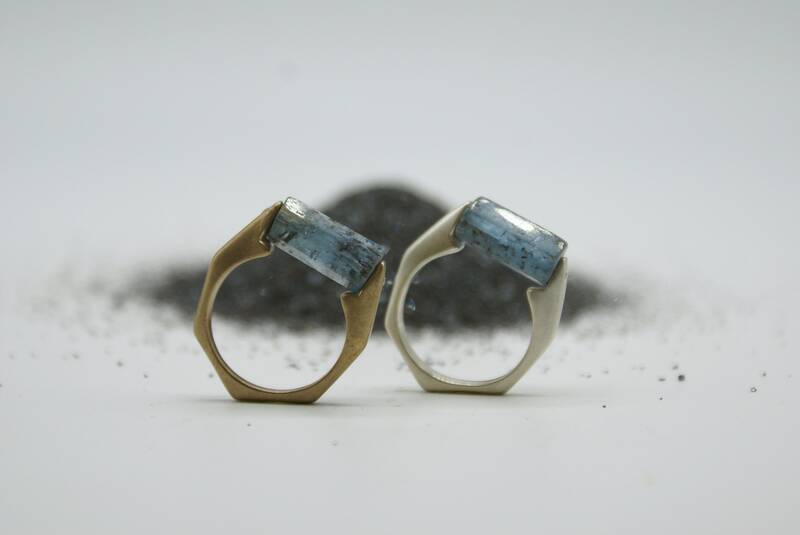 The silver ring is a size 8.